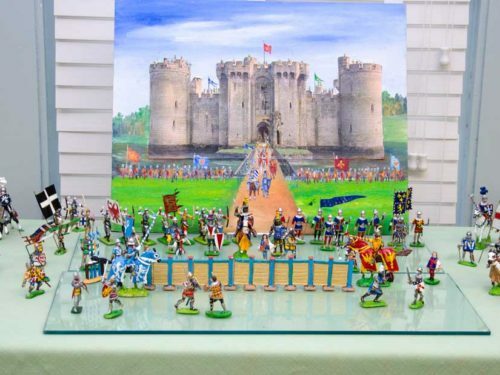 In 2016, a special exhibition, History in Miniature—The Dollhouses of Fred Swingle, was shown at Peggy Bancroft Hall. 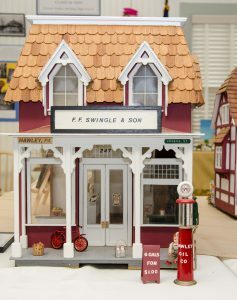 Fred Swingle III (1926–1999) was an educator whose hobby later in life was making dollhouses for his granddaughter. One of Fred Swingle’s replicas was of the F.F. Swingle & Son General Store in Hawley. The store was established in 1905 when Frederick Swingle II purchased the market where he had worked for 19 years. Located on the corner of Hudson and Spruce Streets, the store later became F. F. Swingle & Son when Floyd joined his father in the business. 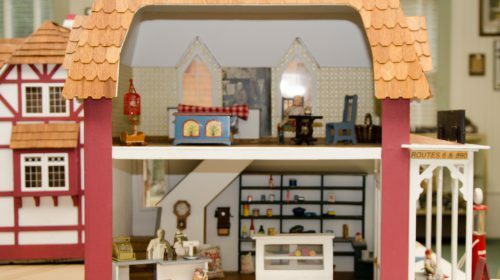 The interior of the miniature store showed many of the details Fred remembered from his childhood—the large coffee grinder where his father ground coffee for customers, the bottles of patent medicines lining the shelves, stacks of shoeboxes, and jars of penny candy on the counter next to the cash register. Fred Swingle was an accomplished musician who taught music at Welsh Valley Junior High School in Bryn Mawr and was a member of the Ambler Symphony. He first played with the WPA Orchestra in the 1930s at the age of ten. While a student at Hawley High School, he played violin with the Scranton Youth Symphony and the Hawley Orchestra, and later played with the Penn State Blue Band, winning numerous awards for both the violin and clarinet. 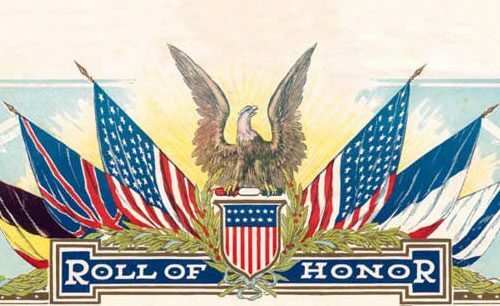 During World War II, he served with the 35th Infantry in Europe, and after the war he resumed his education, earning a Master’s Degree in music education. In 1970, he and his wife, Kathryn (Gilpin) built a cottage on Lake Wallenpaupack, with Fred doing much of the work himself. After retiring from teaching, he lived in Naples, Florida. 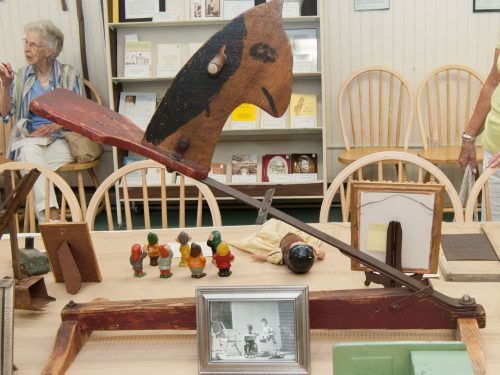 The collection of dollhouses was on loan from his daughter, Jill Porter.